The Cinque Terre is the part of the Ligurian coast that reaches from Punta Mesco to Punta di Montenero; it is composed by five villages, Monterosso, Vernazza, Corniglia, Manarola and Riomaggiore, set in a wonderful and still untouched landscape, characterized by a savage nature, which has been tamed only in sections by people work. 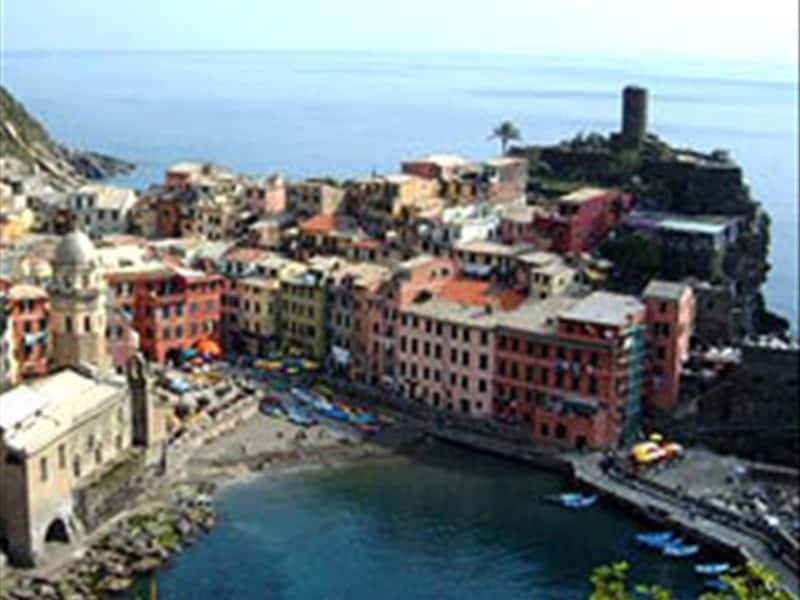 The typical terraced plots cultivated with vine, olive trees and citrus plantations, a deep and clear sea, a jagged coastline are the characterized elements of the Cinque Terre. This area has been declared by UNESCO World heritage Site in 1997 and, two years later, the National Park of Cinque Terre has been founded; it is composed by Monterosso, Vernazza, Riomaggiore, Punta Mesco (municipality of Levanto) and Campiglia Tramonti (municipality of La Spezia). It is the sole National Park in Italy that protects an anthropized area: in fact it preserves the terraced plots and its dry walls among its several purpose. The Poets' Gulf spreads from Portovenere to Bocca di Magra: this is a coast rich in colours and suggestions that has enchanted during the past poets like Lord Byron and Shelley (hence the name of the Poets' Gulf). This destination web page has been visited 84,809 times.